If you own a virtual reality headset the awesome In Death VR dungeon crawl answering shooter game created by Sólfar Studios, is definitely worth the purchase and provides greater re-playability thanks to its randomly generated levels. Watch the quick teaser trailer below to learn more about what you can expect from In Death, which has received a new update this month. 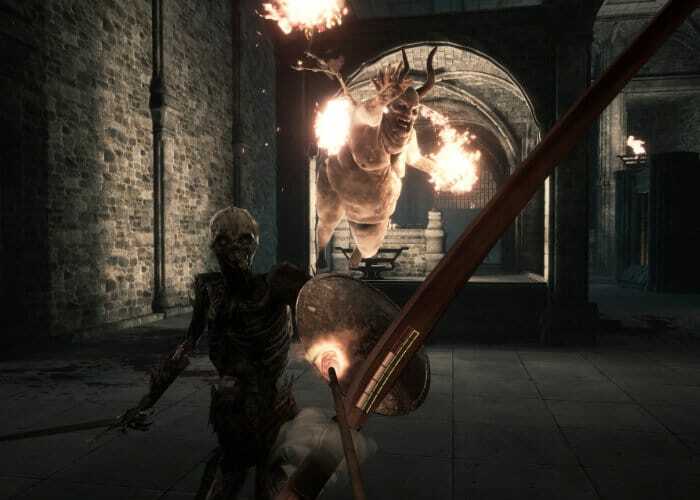 The latest update to the VR In Death game offers more depth to the difficult to master, mediaeval themed single player game. Once you make it through the legions of knights and bow firing monks, the boss battles will test your skills to the limit. Now scattered throughout the game you will find portals to “The Pits of Damnation” which allow you to battle newer and harder enemies in a one-way route through the level. “If you survive the punishment in the Pits it will be worth the effort as you’ll be rewarded handsomely before emerging back to Purgatory,” the development team from Sólfar explained in a Steam forum post announcing this month’s update to In Death. “The Ladder system, a positively devilish new feature that pits you against other players in asynchronous ranked matchups. This feature is covered by Kjartan Emilsson in a dev blog aptly named The Ladder”. To help you on your quest a range of new arrows have been added to the game which will help you “tear through your enemies”. So keep your eyes peeled as you play to pick up the new gear. A full explanation of all the new modes and tweaks which will be rolling out to the In Death VR shooter this month jump over to the official Steam forums by following the link below.